David Wendel is an associate with the personal injury litigation group of Starr Gern Davison & Rubin. David has extensive experience in civil litigation, trials and appeals including independent evaluation, assessment and identification of issues. Prior to joining our Firm, David had his own firm and represented clients of own origination. He also worked with other law firms as co-counsel, of-counsel or as a law firm employee. 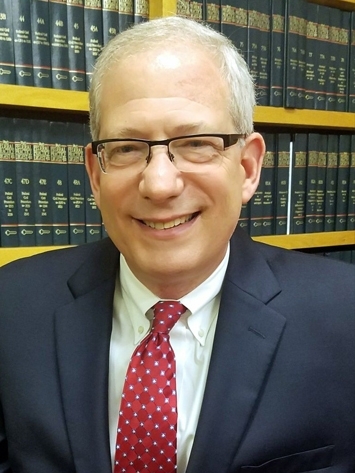 He has handled various types of personal injury matters including motor vehicle accidents, slip/trip and fall accidents, dog bite attacks, and medical malpractice. He has successfully managed all cases from initial client intake through pre-suit investigation, initial pleadings, written discovery, motion practice, depositions, arbitrations, settlement negotiations, trials and appeals. He prides himself in excellent communication skills and the ability to explain to a client all important aspects of their case. $1,100,000 recovery for a police officer riding a motorcycle in the course of a funeral procession suffering a fractured wrist making him incapable of holding a handgun and working as a police officer and suffering a traumatic brain injury. $649,000 settlement for an intoxicated pedestrian who was jaywalking when hit by an intoxicated driver suffering traumatic brain injuries, knee replacement and abdominal/intestinal injuries where there was modest insurance coverage for the intoxicated driver. $425,000 recovery for a speeding motorcyclist who was collided into by an automobile driver with modest coverage that made a left hand turn into him and sustained a punctured lung, ruptured patella tendon, comminuted patella fracture, femur fracture and torn knee ligaments. $375,000 recovery against a major department store and its contractors on behalf of woman who slipped and fell on a wet floor and sustained a fractured femur requiring metal rod being put in leg. $125,000 verdict for woman that sustained multiple bulging discs in her neck and back as a result of a negligent driver. Created new law in New Jersey holding that those convicted of DWI are still entitled to no fault benefits. Walcott v. Allstate New Jersey Insurance Company, 376 N.J. Super. 384 (App. Div. 2005). $1,100,000 judgment obtained when overturning fraudulent conveyance by partnership debtor and prevailing on successor liability claim. $1,000,000 settlement for negligent bailment claim against a dye house for greige goods on behalf of three textile manufacturers. $225,000 settlement after prosecuting fraudulent conveyance of a New Jersey residence that was stripped of its equity to purchase real estate in Florida (and thus be subject to its homestead exemption laws).